WJC urges UN body to focus on its core mandate rather than addressing political matters. 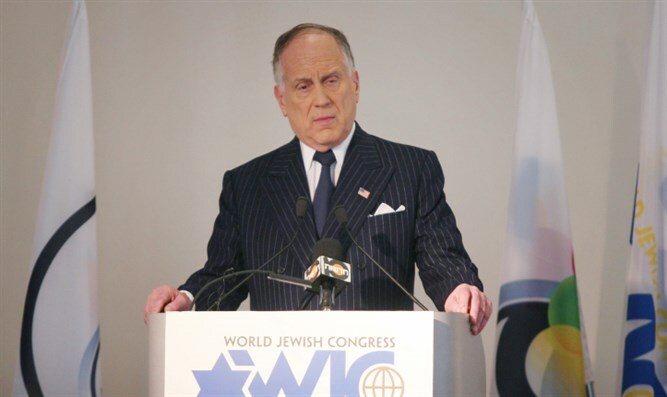 WJC President Ronald S. Lauder. On Thursday, the Trump administration formally notified the UN cultural administration of its withdrawal, to take effect in Dec. 2018, citing the group’s “continuing anti-Israel bias.” Hours later, Israel announced it would also withdraw. “In recent years, despite the best efforts of outgoing Director General Irina Bokova, UNESCO has strayed from its mission to preserve history and has allowed itself to become politicized, demonstrating a continuing and disturbing bias against Israel,” said Lauder. Best known for its world heritage listings of cultural and natural sites, the UN body has drawn international attention – and outrage from the US and Israel – for accepting the Palestinian Authority as a full member in 2011, and approving a series of contested decisions challenging Jewish links to holy sites in Israel, including in Jerusalem. Friday night in Paris, UNESCO’s Executive Board nominated former French Minister of Culture Audrey Azoulay as its new director general.